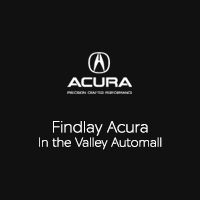 There are plenty of places to buy used cars near Mesquite, but if you’re looking for pre-owned vehicles that stand above the fray, then make the trip to Findlay Acura in Henderson to check out our lineup of used Acura luxury cars for sale, including a variety of Certified Pre-Owned Acura models. In addition to our used and CPO Acuras, we also have a number of used car deals going on at all times, as well as pre-owned vehicles under $10K. Check out our entire selection online, and then make your way to see us! Findlay Acura has you covered with an outstanding selection of used cars for sale in North Las Vegas, including pre-owned luxury sedans, SUVs, trucks, and more! At our dealership, you’ll also find fast, affordable, and flexible financing options, as well as a certified Acura service team that’s here to help you with everything from oil changes to major Acura repairs. Come by and see us Monday through Saturday, or give us a call at (702) 982-4100!